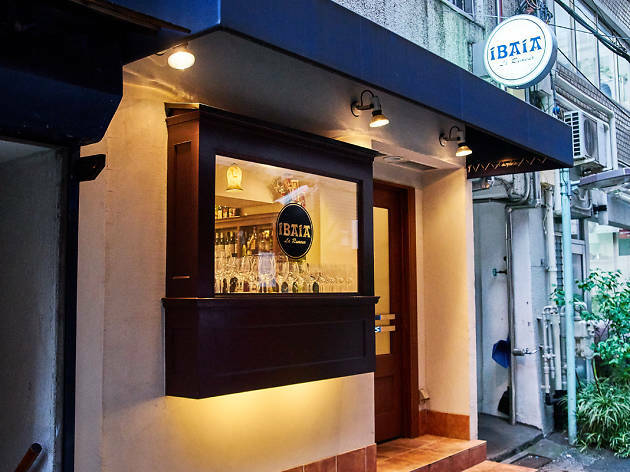 It’s almost as if only the name remains of the French Basque restaurant that opened in Higashi-Ginza with little fanfare three years ago. 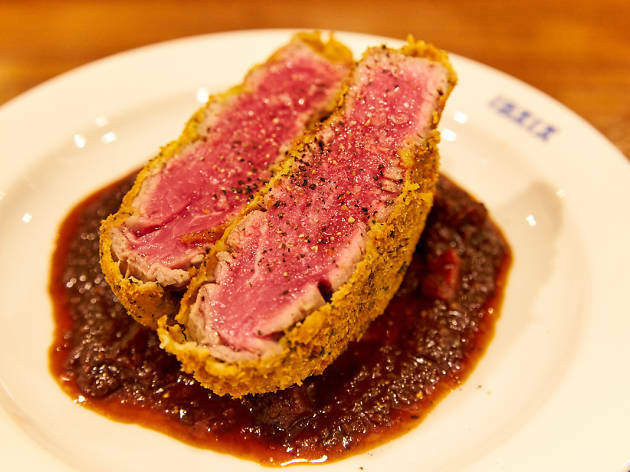 Ibaia is now quite the typical bistro, albeit one curiously focused on grilled meat – a state of affairs that essentially came about due to the resident chef working miracles with large cuts of animal flesh. Once his talent was out in the open, customers insisted he focus on developing this craft, and the grill master duly obliged. 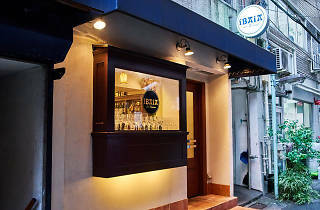 Tucked away in this less than posh part of Ginza, Ibaia seats only 20 and is practically always full. 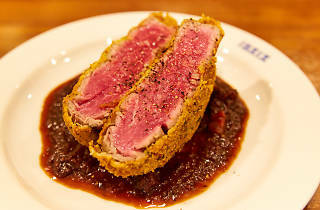 Regulars keep coming back for dishes like hirekatsu, a thickly cut Australian beef fillet that’s coated in breadcrumbs mixed with herbs and garlic, baked until golden and served in a rich tomato, red wine and port reduction. 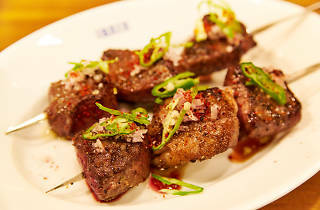 Another standout, officially an appetiser, is the heart skewers. 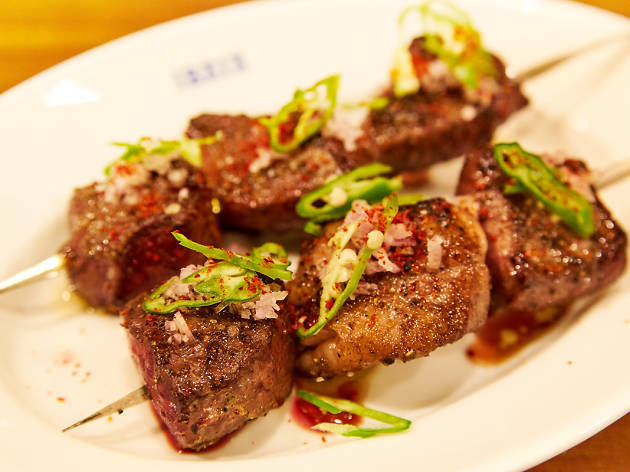 Two sticks stacked with three large cow hearts each are grilled over charcoal until slightly charred, then topped with paprika, diced shallots and fresh green jalapeños. The tender, slightly smokey hearts are perfectly accompanied by the spicy mixture on top. 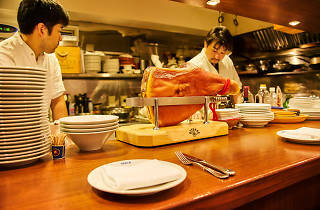 But don’t be fooled: Ibaia isn’t only for carnivores. Sourced daily from the owner’s family farm in Saitama, the vegetables here are turned into very special sides that rotate weekly. Complementing the heavy meats perfectly, these veggies are a cut above your average limp bistro salad. 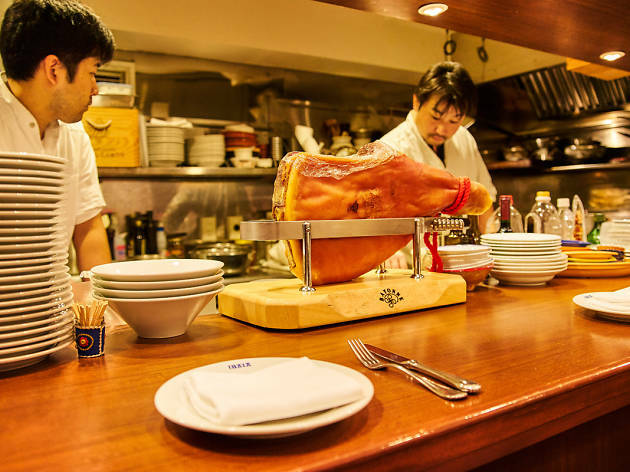 Bookings are required and taken a month in advance, and you’ll want to ask for a spot at the counter – if only to see the meat master himself in action.